“In the seemingly attractive musician coexists feminine charm and masculinity. It may be that the male energy is even more strongly expressed! 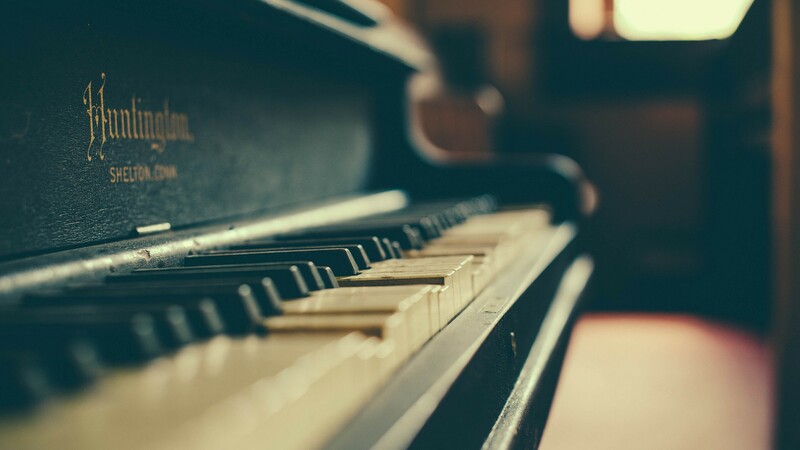 It holds the artistic power in the mainstream and gives the music the right direction”. Tamara Licheli is a prizewinner of numerous national and international competitions. Among them are : Georgian musicians’ competition (Georgia), Ettlingen international competition (Germany), Gottingen Chopin international competition (Germany), Marco-Polo international competition (Greece), Bradshaw&amp;Buono international competition (USA), Ibla Grand Prize international competition (Italy) etc. Tamara Licheli performs as a soloist as well as a member of chamber ensembles. She collaborates with such musicians as Liana Issakadze, Marina Iashvili, Alexander Korsantia, Alexander Rudin, Iuri Jislin, ken Aiso, Akikazu Nakamura; conductors: Jansug Kakhidze, Vakhtang Kakhidze, Vakhtang Matchavariani, David Delpino Klinge, Lavard Skou Larsen, Gianluca Marciano, Tan Lihua and others. Her concerts were held in Georgia, USA, South Africa, Taiwan, Switzerland, Germany, Austria, Italy, England, Lithuania etc. Tamara Licheli is a jury member of different national and international competitions. She gives master-classes in Georgia and abroad. 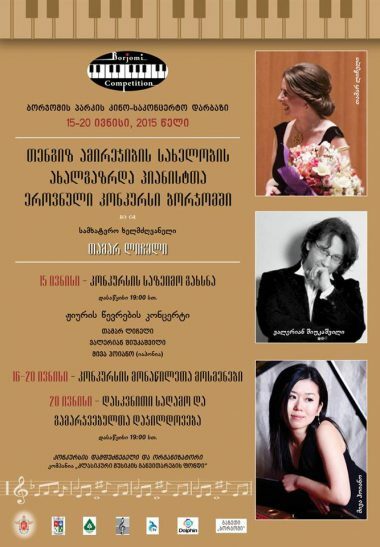 It’s necessary to emphasize her role in development of Georgian classical music-she’s a first performer of many important Georgian pieces such as Felix Glonti’s, Ramaz Kemularia’s, Vakhtang Machavariani’s concerts for piano and orchestra, Vaja azarashvili’s piano quintet, Zura Nadareishvili’s and Gogi Chlaidze’s piano trios etc. 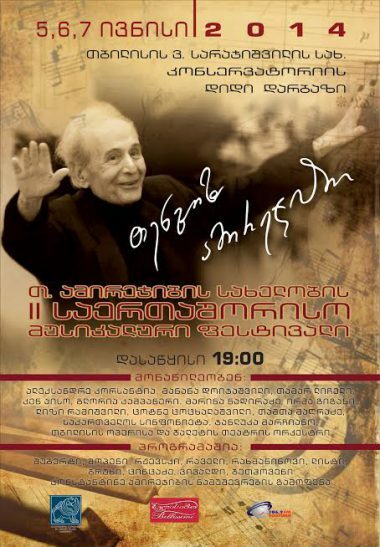 Also, she has another important Georgian composer’s pieces in her repertoire (compositions by A.Mizandari, M.Davitashvili, S.Tsintsadze, O.Tatishvili etc.). She graduated from Tbilisi State conservatoire with prof. Tengiz Amirejibi, passed probation period in Academy of Santa-Cecilia in Rome with Prof. Sergio Perticaroli (Italy) and in Music Academy of Munchen with Prof. Gerhard Oppitz (Germany). In different years she was Georgian President’s, Tbilisi Municipality’s, Italian and German government’s scholarship holder. 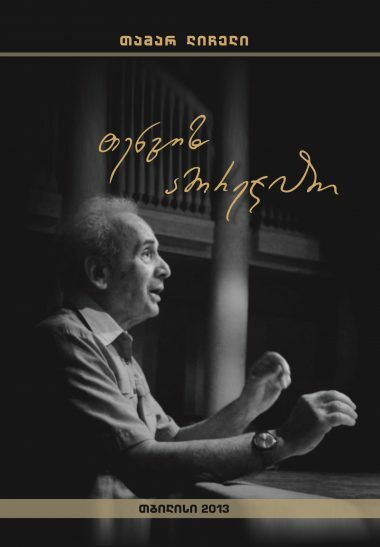 Tamara Licheli is an author of a book “Tengiz Amirejibi” – it’s a first book about famous Georgian pianist and teacher, her professor – Tengiz Amirejibi. Tamara Licheli is an Associate Professor of Tbilisi State Conservatoire. She’s a founder and artistic director of Tengiz Amirejibi International Music Festival (Tbilisi, Georgia) and National Piano Competition (Borjomi, Georgia), director of “classical music development foundation”. © 2018 Tamar Licheli Official Website. All Rights Reserved.